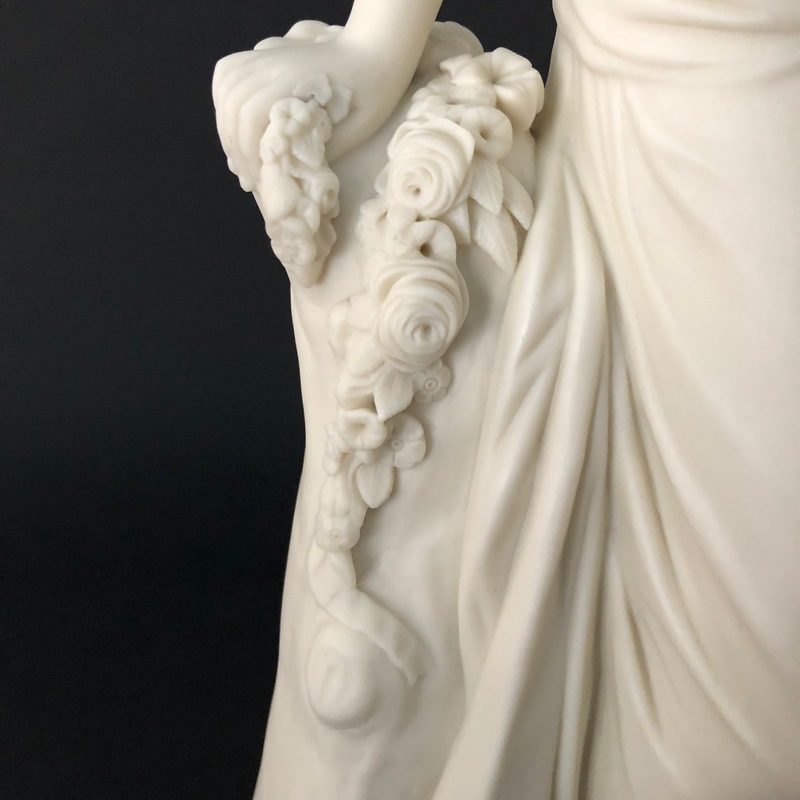 This large Parian figure depicts W. Calder Marshall’s The Dancing Girl Reposing. 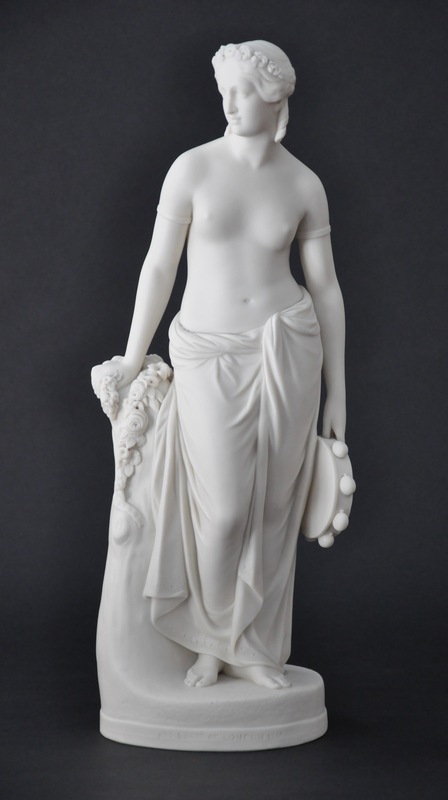 In 1846, the Art Union of London awarded the sculptor a premium for his design. 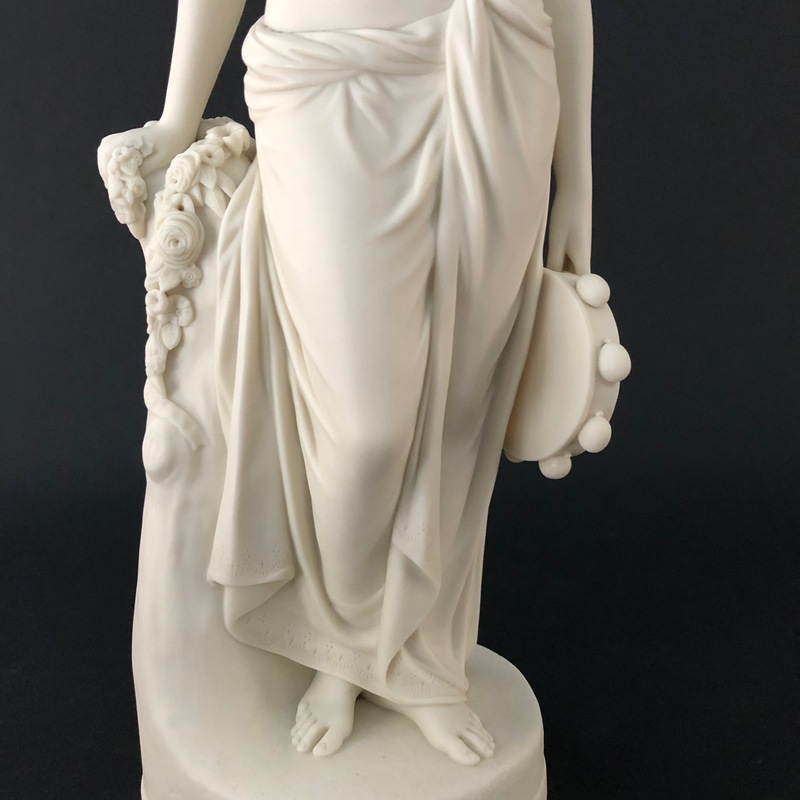 The marble version was exhibited at the Royal Academy in 1848 and the Parian figure was in the Copeland display at the Great Exhibition in 1851. 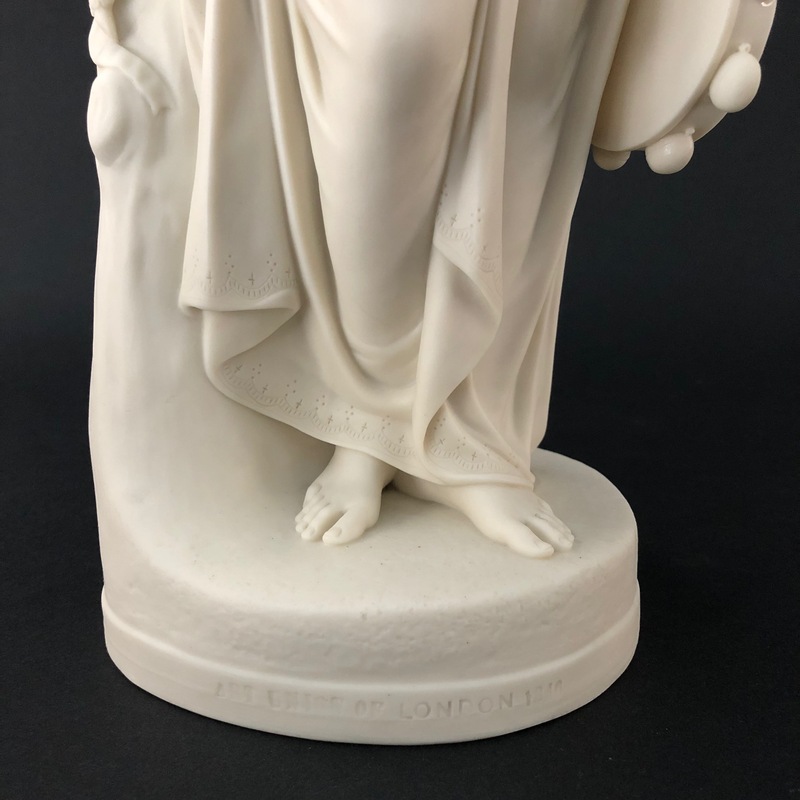 This figure is marked on the front of the base ART UNION OF LONDON 1848 and COPELAND on the back. On the side of the stump are the marks Marshall / Fect. / Cheverton / Sc. 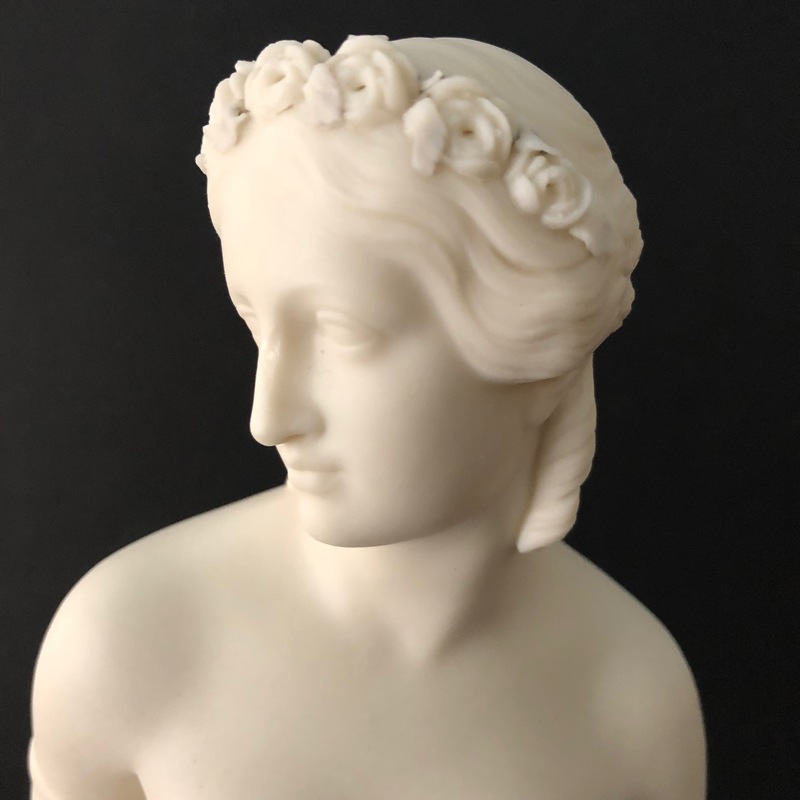 The figure is illustrated in the reference book The Parian Phenomenon as Fig. 518 on page 153.